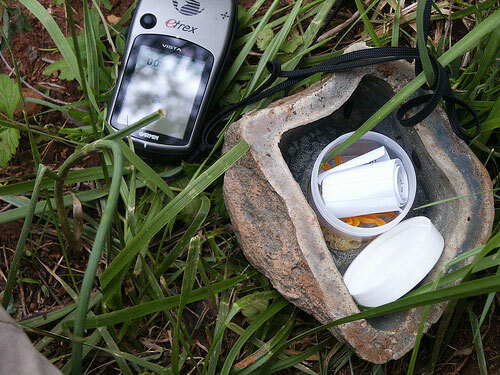 Thuringia offers a year-round treasure hunt with GPS device, called geocaching. Many tourist information in the country will asisst you with this new form of walking. It is suitable for families with children, and this modern form of treasure hunting now enjoys an increasing popularity. And at the end of the tour, there is always a small treasure with a souvenir. …and the coordinates of a place, where someone hid a „treasure“, you can start the search. The so-called caches provide exciting names, notes, smart keywords, or just numbers. Anything but gold and precious stones can be expected. Who takes something out of the treasure box, shall, in return, put again something into it – so the next pulp hunters will still find something interesting. Guaranteed are lots of fun and the discovery of the country and its people. …and about 4 km long – so enjoyable even for inexperienced hikers. If you do not own a GPS – device, please contact a local authorized dealer or one of the many tourist offices in Thuringia.